Kim Hayatie Feb 24 2019 11:45 am Her cuteness reminds me of Moon Geun Young, with her superb acting. anondrama Dec 10 2018 11:53 am I wish I could see her soon on another drama. Her acting is so great!!! Ring Aug 20 2018 4:48 am Oh! Kim Hyang I just Love you! You are so cute! My Crush! Marie Feb 22 2018 6:17 am Just watched Along with the gods. She's so cute ? bxrnxngj Jan 21 2018 8:21 am I think her acting skill is better than Kim Yoo Jung. torres Dec 02 2017 7:03 pm you should work with yoo seung ho again. yuanji Feb 07 2017 9:24 am She and Kyungsoo should play siblings in a movie together, like, seriously. mooncake Jul 15 2016 6:34 pm I hope watch your new drama. Aburkat May 06 2016 9:28 am She is cute, I like the movie wedding dress & Queens classroom. suggest movie Queens classroom 2. Ardie Sep 06 2015 9:53 am Ko-ah sung little version it seems she follow her step by choose movie than drama. kimmy doraemonnie Jul 18 2015 1:17 pm she look like same and cute face like d.o exo and me.hahaha.she has big ball eyes like me .so cute hyang gi unnie.she is 2000 line and me 2001.1 year different with me.we are same cute girlz.love kyungsoo oppa.lol. tp Jun 21 2015 1:55 pm You are so smart and were definitely born to be an actress. 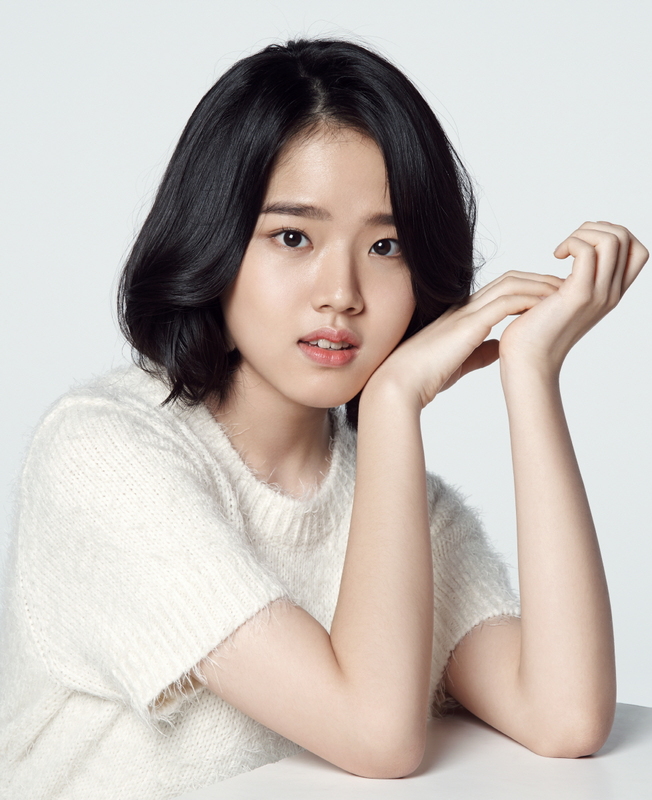 I thought you were Yeo Jin-Goo's younger sister for you both look alike and both are quite talented. umunie Mar 11 2015 11:32 pm I saw you in the Wedding dress , Thread of Lies and lately You're Pretty Oh Manbook Still have to watch Queen's classroom though... You 're so great in all of these films. you are still very young but you're acting is superb and wonderful compared to adult korean actresses particularly those who are singers but went into acting but do not know how to act ( there are so many of them in Kdramas and I hope producers will stop doing this) . Im sure you will become one of Korea's great actress. Stay humble and kind as a person and keep improving your craft and you will go a long way. I am your fan and supporter from Manila and could even be older than your own mother.. Hope you can read and understand English and will take time to read the comments from your followers here. Connie Mar 02 2015 7:30 am Hi Huang!! i don't know how to read your name but i been searching all of your movies and i love it..the first film i saw was the weeding dress and it took me bundles of tissues to get through with it..You're such a great actress.. I'm from the Philippines and one of your fan..looking forward for more of your success..More movies, more fun !! skbf Feb 26 2015 11:29 am I heard sae ron and hyang are filming a drama. It's name is secrets. I love them both. sunny Feb 26 2015 11:27 am Saranghae unnie. You are really cute. big fans Feb 13 2015 10:48 am hyang gi you are very talented actress.and you are not only talented actress but also a very beautiful girl.I like when you smile because it is so cute.and the last you are always the best for me..
rhea Dec 11 2014 2:49 am You always manage to make me stunned at the sight of your acting,I really hope that in the days to come I can continue to see you acting.hyang gi you are the best !!! taejun Oct 13 2014 12:22 am @Jane watch you r pretty oh man book. u ll cry again. its 1 episode drama special. fitri Sep 18 2014 4:05 pm she is amazing young actress.i really love her acting especially in the drama the queen's classroom. Shawnna Jul 30 2014 5:06 pm She was in a drama special that they don't have on here. The name of it is You're Beautiful, Manbok, and KBS posted it on their Youtube channel with English subtitles. It's tugs at the heart strings but I definitely recommend it! ^__^ Hyang Gi fighting!! asdfghjkl Jul 24 2014 7:59 am Wait what? She's only almost 14, yet she acts as if she's L's girlfriend when he's 22... I mean there's nothing wrong with crushing on someone eight years older than you, but she's not legal yet!! But she's a great actress, so whatever. raquel Jul 02 2014 9:05 am OMG,you're beautiful, very cute and the best child actress in my opinion, I loved wedding dress and queen's classrom, I hope to continue this success! FIGHTING!! dosook15 May 28 2014 11:46 pm I'm very thankful because D.O. knows her since last year and recently they took a picture together at backstage during Baeksang Awards! I'm really a fans of her! 향기야, 언니가 항상 응원할께! milliscent jane May 04 2014 10:44 am too young and acts well. I really love your role in the drama the queen's classroom. keep it up. love you. wishing to be your friend someday. bethy Apr 16 2014 7:37 am Hi!!! youre so cute! and pretty I love your wedding dress movie youre so cute when you smilee!!!! and I admire you!!!!!!!!!!!!!!! umang Dec 28 2013 7:43 pm Kim Hyang Gi!!! You really look like EXO's D.O aka Kyung Soo....is he your Brother or what sibling?? bloodberry27 Dec 06 2013 9:28 pm Her performance in Queen's Classroom is really amazing. She is really one of the best child actresses of her age. Kudos to you! Jasmine Nicole Nov 18 2013 9:39 pm She is perfect, she's PERFECT, I cannot wait to see more from her. The Queen's Classroom was AMAZING, I had to pause the videos to squeal over her like every ten minutes omg. It's insane how much she looks like EXO's D.O., both are so cute <3 Hyanggi hwaiting! cornfed Nov 16 2013 12:19 pm A well-deserved congratulations for Kim Hyang-gi whose portrayal of 'Shim Ha-na' (The Queen's Classroom) won her the best child actress (along with her male "partner-in-crime, from the same drama) at the 2013 APAN Star Awards (Daejeon Drama Festival)!!! audrey shane kiamco Oct 23 2013 11:11 pm hmm.. kim hyang you soo beautiful .. and i'm soo sad because the story is the same on my life ..
L B DANIEL T Sep 11 2013 3:02 pm I have watch almost all the movies listed above and watching Kim Hyang-Gi in 'Hearty Paws' really breaks me apart. I really would love to meet her at-least once. She is simply amazing even at this very young age. God Bless!!! jaeinah Aug 25 2013 7:23 am Kim Hyang-Gi is so adorable, I had seen her in Wedding Dress and was really amaze with her acting capabilities. Then I realized that she is the younger version of Ko Ah-Sung, i love them both. I want you to become my dongsaeng, chincharo. Hyang Gi-yah hwaiting!! Kuaci Aug 18 2013 7:23 am @nanana and exowifeu: i dont know D.O, but i thought she's the female version of yeo jin goo esp in queen's classroom. They really do look a like..
girian Jul 27 2013 10:59 pm Why korea have so many great child actor and actress? Did you guys have many acting coach? or academy for them? MissyQ Jul 19 2013 7:05 am She looks like D.O from EXO very much ..
Grace Jul 18 2013 2:12 pm hahahahah she is exactly 1 day younger than me! rosebud123 Jul 02 2013 3:58 pm In Queen's Classroom she kinda reminds me of Yeo Jin Goo. nororo Jun 10 2013 2:21 am omo! uri sora is getting prettier!! you've just done your first kiss scene, haven't you? unni will always support you hyang gi yaaa!! miamia Apr 28 2013 8:27 pm OMG ! I cant stop crying when I saw you in your film WEDDING DRESS ,Kim Hyang Gi :) .your acting so good .the best even if . SO AMAZING . and because this film ,I think I would be a better better better girl for my mom ... thx KIM HYANG GI ...sarangheo ,gamsahabnida ..
Abhi Apr 09 2013 8:20 am hi i m frm india i saw hearty paws.....i cried a lot, great movie.by these message i want to send my love, blessing and good wishes,,,,,,really hearty paws is wonderful movies thank kim hyang,,,,,,wonderful acting..........take care. Jithu Feb 07 2013 6:57 am I saw hearty paws today..awesome..she is more than wonderful..so cute...her acting is superb..sure she will be a great actor oneday..all the best to her..
Yhel Jan 18 2013 8:52 pm I watched the movie Wedding Dress last week. I love the cute girl, Kim Hyang Gi. Her scenes in the movie made me cried. chusna's mom Jan 02 2012 9:26 am youngest brilliant actress ever!!!! Lie ann Dec 22 2011 3:00 pm She's so very cute,.i love the way she act.,good day! deva(india) Dec 22 2011 12:30 am i just addicted for Hyang-gi Kim....i didn kno korean language..but because of her i saw this film nearly 600 times... i luv her.. hats off..my oly dream is to see her at live.. i luv u.. Hyang-gi Kim... my mail id:dhonideva@gmail.com can anyone take me to Hyang-gi Kim..